You are here: Home / Anti-Aging / Can Face Oils Stop Sagging in its Tracks? Aging is inevitable. As a result of genetics, lifestyle choices, and time, wrinkles and lines appear and skin becomes drier and loses its elasticity, which results in skin sagging below the jaw line. Fortunately there is a safe way to slow the aging process that is inexpensive and does not require harsh chemicals. Read on to learn how face oils can keep your skin looking young and healthy. Levels of collagen­—a protein that forms connective fibers in the skin—decline as we age. Because it is necessary for cell growth, it is one of the main reasons skin loses its elasticity and over time begins to sag. Loss of fat is another reason skin sags. Fat is evenly distributed in younger skin, plumping up the skin on our faces. But as fat loses volume and clumps up, the skin begins to droop from the cheeks, nose, and chin. Skin sagging is a given with age, but there are several lifestyle factors that speed up the loss of elasticity. Reducing or avoiding the factors below can help delay the aging process. Weight gain/weight loss: Skin stretches with weight gain, but as we lose weight, skin doesn’t have enough elasticity to bounce back. Sun exposure: UV rays cause collagen to break down. Cigarettes: Tobacco smoke contains more than 4,000 chemicals that damage collagen. Air pollution: Pollutants damage collagen and increase free radicals, which are chemicals produced from normal cellular metabolism. Facial oils are packed full of extracts and nutrients that can slow aging and skin sagging. The best part? They are natural and easy to use at home. Use them alone or between cleansing and night creams for extra hydration. Oils pass through the lipid layer of skin better than creams, which plumps skin and prevents water loss. If anti-aging ingredients such as retinol or retinoids are part of your daily routine, adding a facial oil can combat dryness and soothe irritation. Plus, moisturized skin reduces the appearance of fine lines, another common side effect of aging. Oils should accompany cream moisturizers to deliver both water and oil. While skin absorbs the water from moisturizer, oils act as a barrier and prevent moisture loss. Which one you apply first depends on your skin type. If you have oily skin, apply oils first so they can sink in. If you have dry skin, apply moisturizer first to hydrate, and then apply oil. If you’re short on time, you can still reap the benefits by combining a few drops of oil with a daily moisturizer. Retinols should be applied after oils and creams. Apply an SPF in the morning as the final step. Because sunscreen sits on top of skin and prevents other ingredients from absorbing into skin, it’s best to so save it for last. Instead of rubbing oils directly onto your face, warm a few drops between your clean fingers, then press into skin until the oil is absorbed. Check the ingredients label before using a new oil. A product can be marketed as argan oil but still contain synthetics that can irritate skin. 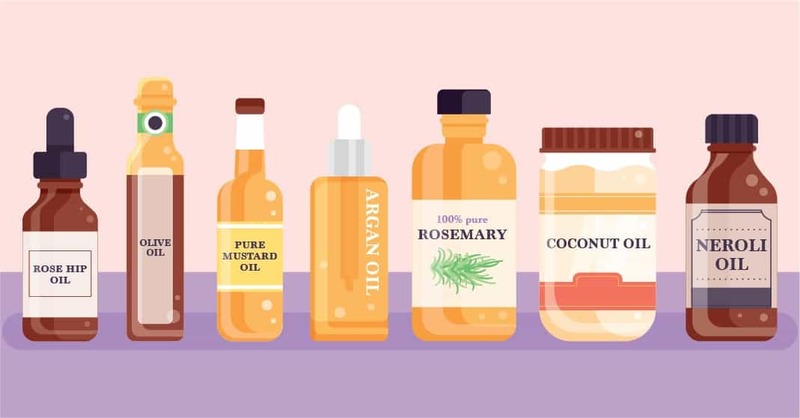 If an oil isn’t working out, switch the order you layer products or try a new ingredient to figure out what suits your skin best. Thanks for some great info and tips. What do you think about serums? As I’m over 50 now I find them to be more intensive and I use them before moisturizing.